A fun and easy project using 10" squares. 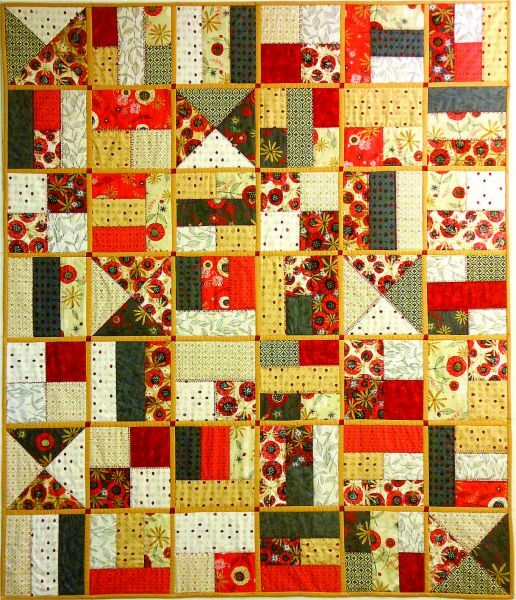 Start with a "Layer Cake" or other 10" square pack that has 42 - 10" squares, or use your scrap bag for inspiration. Stack em, cut em, and sew em back together. Use those great quilting designs to quilt your sqaures. Trim and sew together! The quilt is done when you are!! Yippee!